Porsche Classic, a division of the company that specializes in keeping discontinued models on the road, has recently completed work on a bespoke Carrera GT restoration. 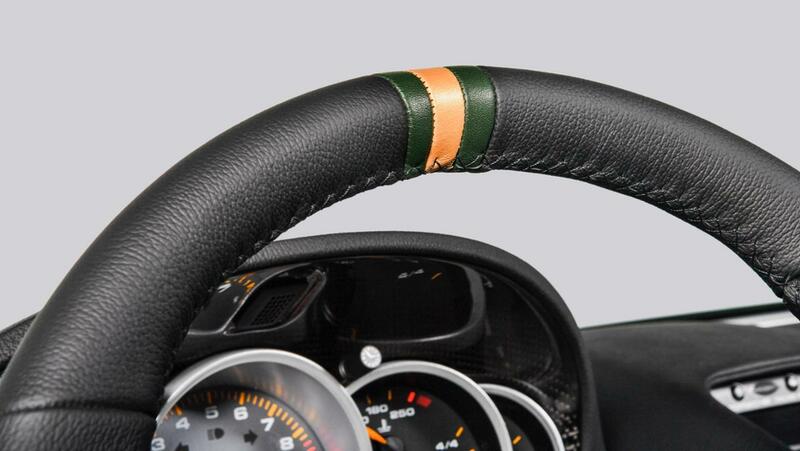 Mechanically, the car has been returned to showroom spec, but it's also been given a unique color scheme to suit the owner's preference. Porsche started the project by disassembling the car down to base components. Every bolt and bearing found to be too worn over the Carrera's decade-long life was refurbished, or replaced with a brand new part. The shop took particular care refinishing its carbon fiber chassis and bodywork. "Because the coating on older carbon fiber parts tends to yellow and fade, we spent 350 hours manually sanding and recoating all the carbon fiber components, including the monocoque," Uwe Makrutzki, manager of Porsche Classic Factory Restorations, stated in a press release. After the body panels were properly treated, they received a new coat of Oak Green Metallic paint. 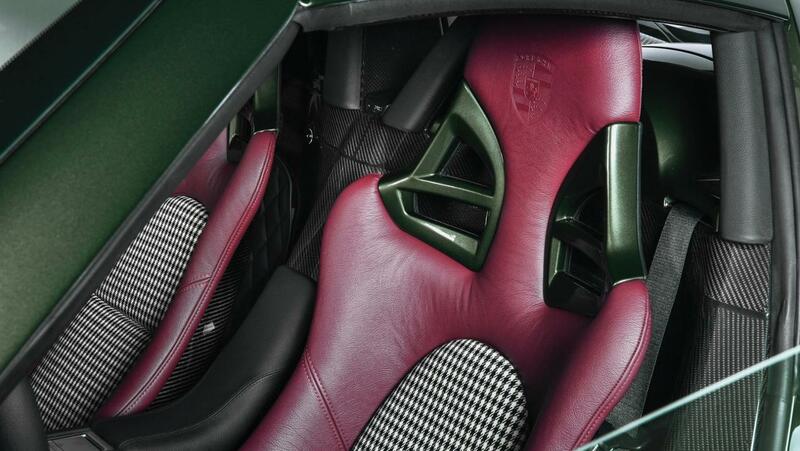 This dark shade of green has been seen on Porsche cars dating back to the '70s but was never previously available on the Carrera GT. The new color is met with gold accented badging and red upholstered seats. 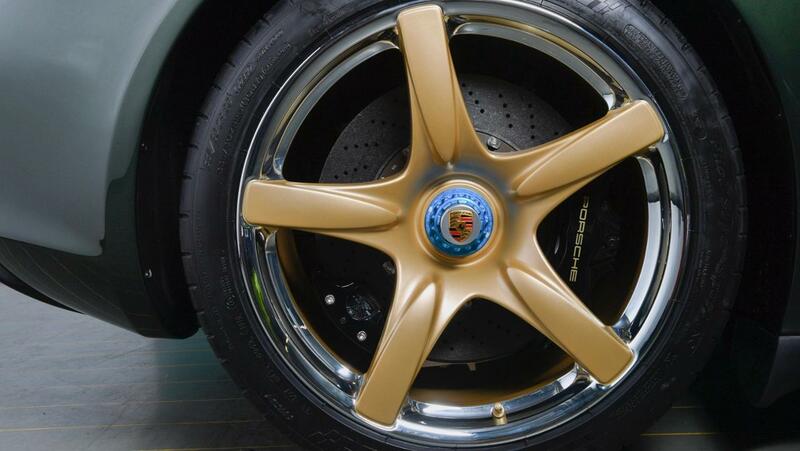 The car's factory magnesium center-lock wheels have also been refinished in bright gold, contrasted by a thin layer of polished silver along each wheel's rim. The Carrera GT is a mid-engined roadster manufactured in a limited 1,270-car run starting in 2003. Unlike Porsche's usual flat-six fair, the GT is powered by a naturally aspirated, 5.7-liter V-10 derived from a Formula 1 engine. The V-10 sends 600 horsepower to the rear wheels through a six-speed manual gearbox, with no traction control or electronic nannies between the driver and the road. After completing restoration on the supercar, Porsche formally presented it to the owner and some 100 guests at the company's Experience Center in Atlanta, Georgia. 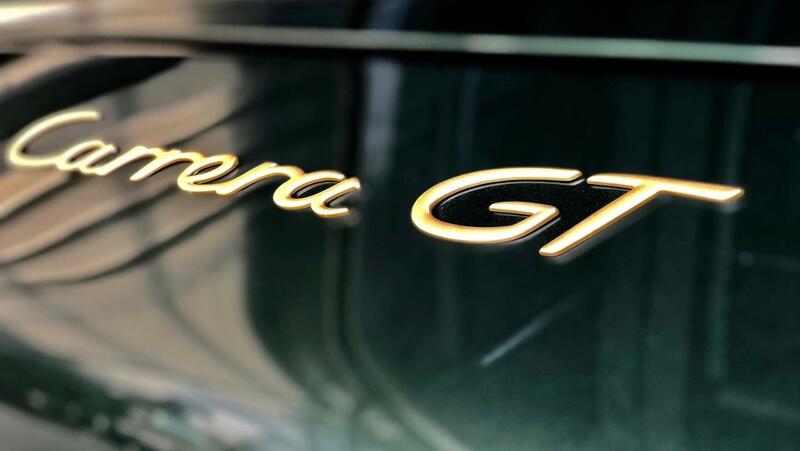 Although the Carrera GT is reserved for exclusive clientele, Porsche Classic is able to provide parts and service for just about any vintage model throughout the manufacturer's history, from the 1950s 356 to the more recent Boxster and 996.